Huawei is taking a playful swipe at the iPhone X with a recent little Facebook ad. It’s really rather cringey, but at least it tells us a bit about what to expect for its next flagship, the Mate 10. 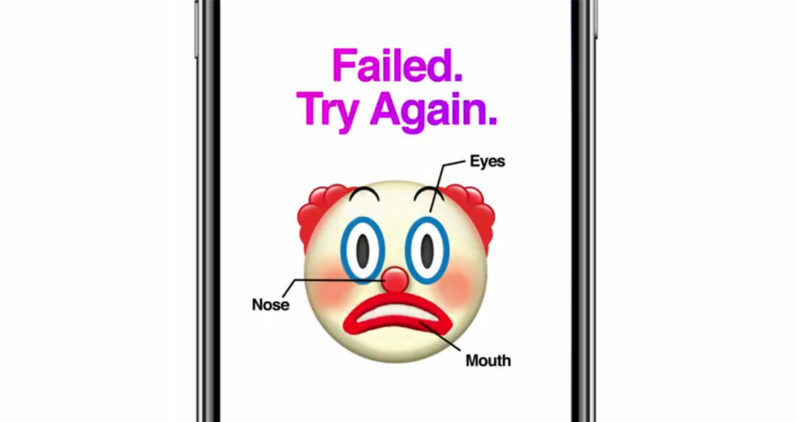 The ad pokes fun at the iPhone X’s FaceID, using a rather crestfallen clown emoji to imply FaceID won’t be very reliable. Meanwhile, a caption below the post says “Let’s face it, facial recognition isn’t for everyone.” While I agree with that sentiment, let’s hope Huawei doesn’t end up copying Apple a few years down the road and having to eat its words. The ad ends with a hashtag claiming the company will reveal #TheRealAIPhone on October 16, a jab at the dedicated AI cores in the iPhone X’s new A11 Bionic chip. That’s a claim Huawei has some weight behind; it recently unveiled its own Kirin 970 processor, which features a dedicated ‘Neural Processing Unit,’ or NPU. Huawei claims that its NPU could perform an image recognition test on 2,000 images per second, 20 times faster than what the competition can do with a CPU could alone. The company has been focusing on using mobile AI to improve performance (as opposed to just voice assistants or AR) for some time. One of the headlining features in the Mate 9 and P10 is their ability to use machine learning in order to optimize app performance based on your use patterns, promising your phone won’t slow down over time. That wasn’t something we could really test when we first reviewed the devices, but anecdotally speaking, it’s held up – the Mate 9 seems as smooth as it was when I first reviewed it at the beginning of the year. Considering Android phones have a reputation of slowing down over time – especially ones with skins as heavy as Huawei’s – that’s no small feat. I’m looking forward to seeing how the company implements its new technology in the Mate 10; let’s just hope the marketing department can put out something a little less cheesy once the phone is revealed next month.